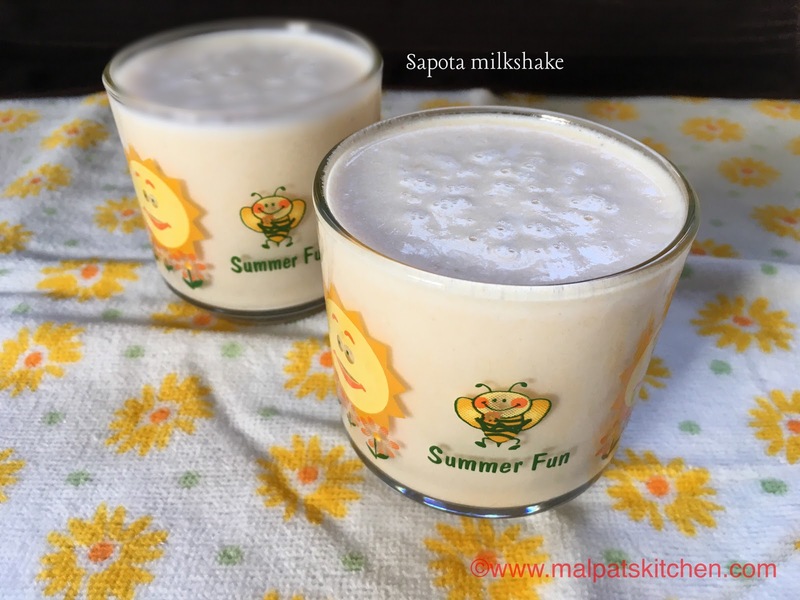 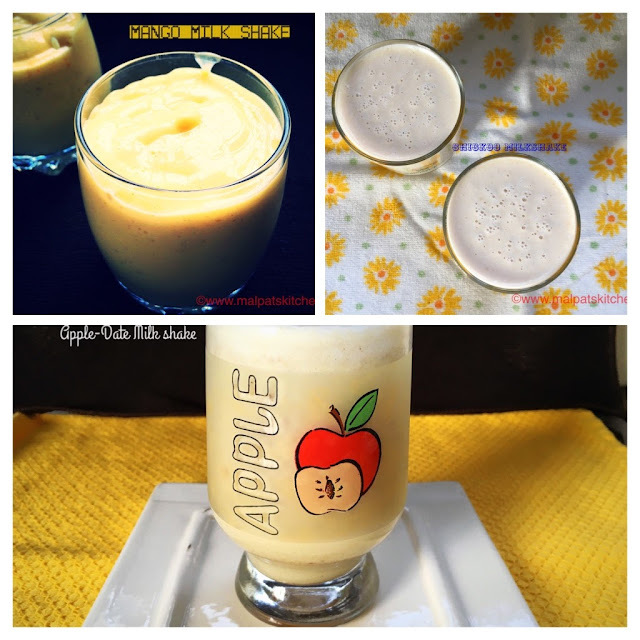 Here is a delightful, chilled Milk shake Melange.........Mango milk shake, Apple-date Milk shake and Sapota Milk shake. 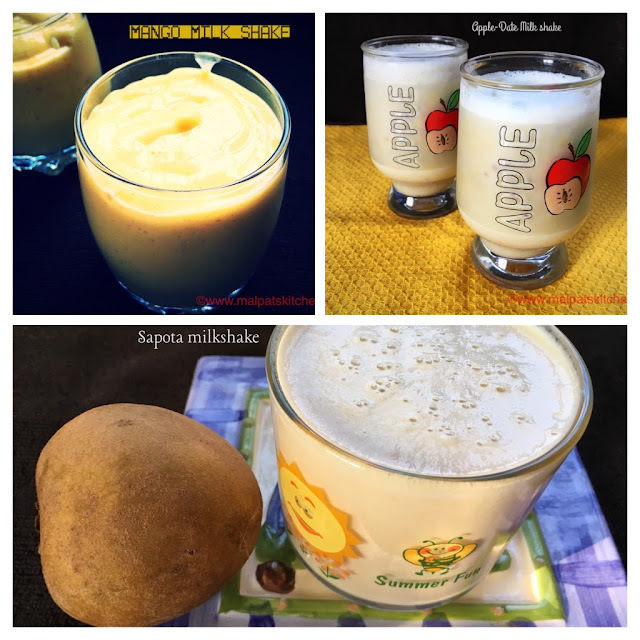 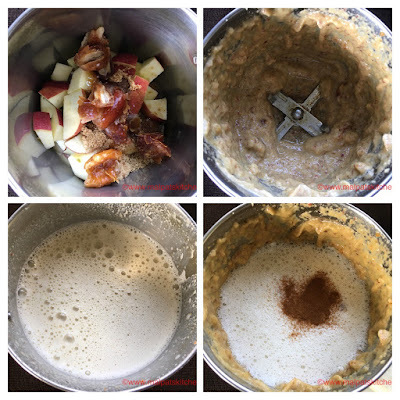 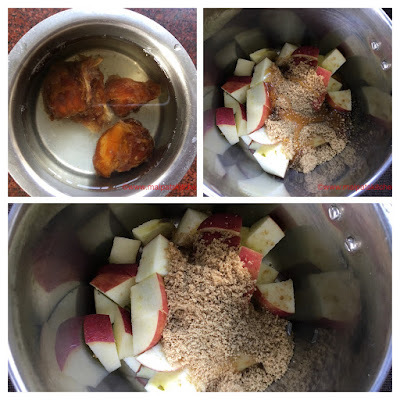 I thought, I will give you ideas to make these 3 kinds of milk shake in a single post...not a big difference...fruits differ, that's all. 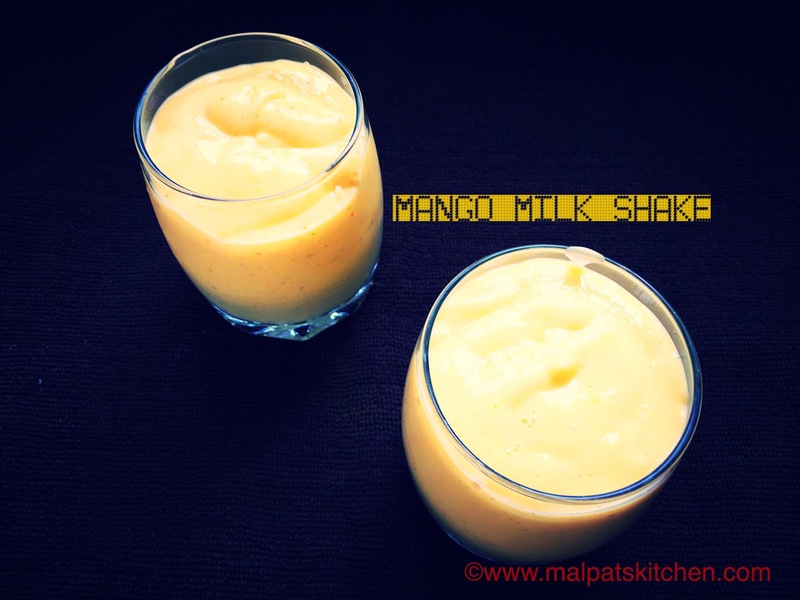 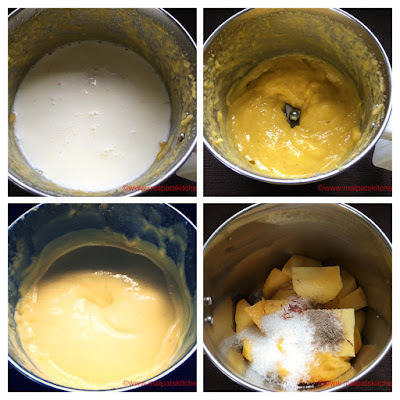 Blend 1 chopped ripe mango, 4 tsps sugar, a pinch of saffron and 1/4 tsp cardamom powder along with 2 cups chilled milk. Picture below shows the dates being added, then blended to a smooth puree, then milk added, and then 1/2 tsp cinnamon powder added. Blend everything together and serve chilled. 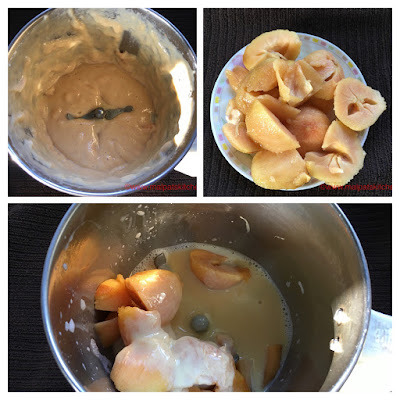 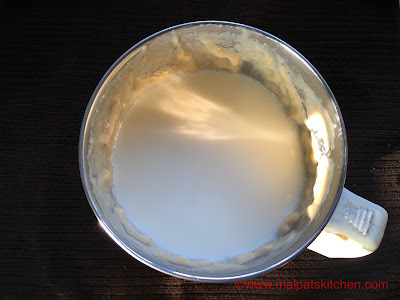 The scooped out Sapota flesh of 2 big fruits, 2 tbsps condensed milk first blended together, then 2 cups chilled milk added and blended. 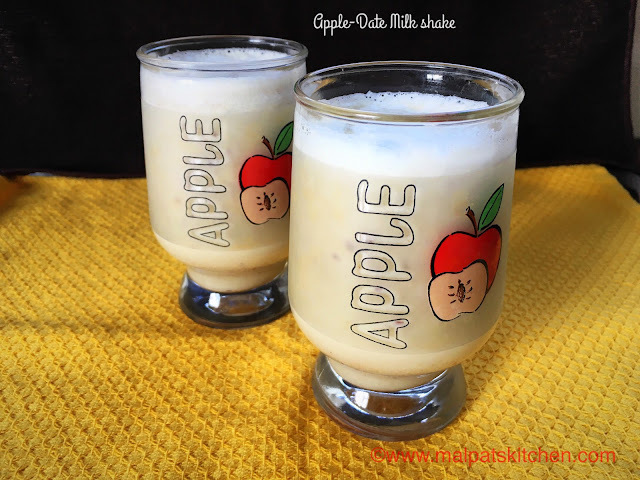 Here's a medley, a collection, a mixture , a combo and an assemblage of 3 COOL , rich yet healthy, simple yet stunning MILK SHAKES......... all for you!! !